“Innovation” is one of those words that many digital marketers might say is -- overused. No matter how much of a buzzword “innovation” might be, agencies need it to remain relevant and grow their businesses. As brands look to stay relevant, they turn to agencies to set them apart and establish them as innovators in a sea of sameness. Clients don't want the next "great" idea; they are looking for the "innovative" idea. All too often agencies assume that innovation comes at a high price tag. Rather than focusing on how “innovation” is another expense, agencies need to focus on utilizing new technologies that can save them time and increase their outputs. 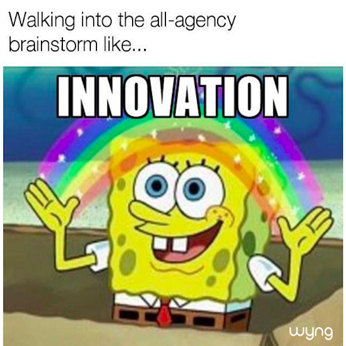 Great agencies understand that innovation doesn’t have to come at a price, as long as you have the proper tools to enhance and support the talented individuals making up your teams. For agencies of all sizes, the core benefit of innovation may be survival. As budgets get slimmer, but expectations for exceptional results increase, cutting costs isn’t going to ensure success. Agencies need to be more agile than competitors, getting creative with less, and investing in new technologies that will enable more efficient processes without hidden fees for taking risks and experimenting. Experimentation is a key contributor to innovation. Any agency looking to innovate needs to give their teams the freedom and security to try new things and experiment in an environment that enables them to take their digital campaign ideas to the next level. Not every idea is a going to be a Cannes Lion-winning campaign or even make it into a client pitch deck, but even if those ideas don’t come to life, they will often inspire other ideas that will. Most believe innovation isn’t free – you must allocate time, people, and budget to building out new products and “innovation labs.” But at Wyng, we believe innovation shouldn’t come with hidden fees or strict guidelines on what you can and can’t do. To help our agency partners build on the talented individuals that make up their teams and innovate without the risk of increasing fees that eat away at your overall budgets, we built the Wyng Sandbox Environment. 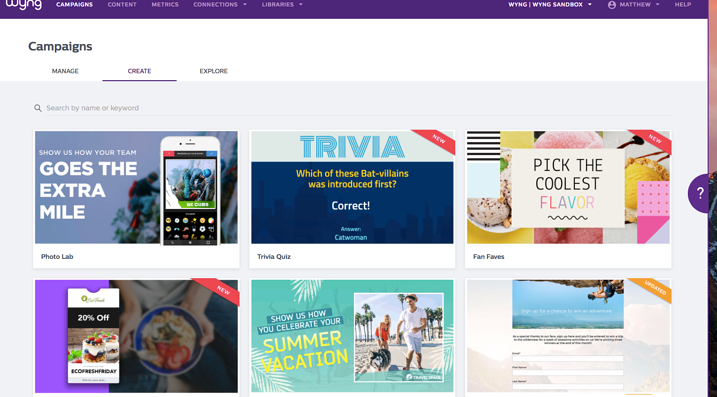 The Wyng Sandbox is a free space designed for testing out new digital campaign ideas, playing around with new concepts and experimenting with our new campaign use cases without worrying about failure or incurring hidden fees. Contact us to learn more about how you can create a free Wyng for Agencies account and get access to the Wyng Sandbox. To see more memes from our #AgencyLife Meme It to Win It campaign visit our meme gallery here.